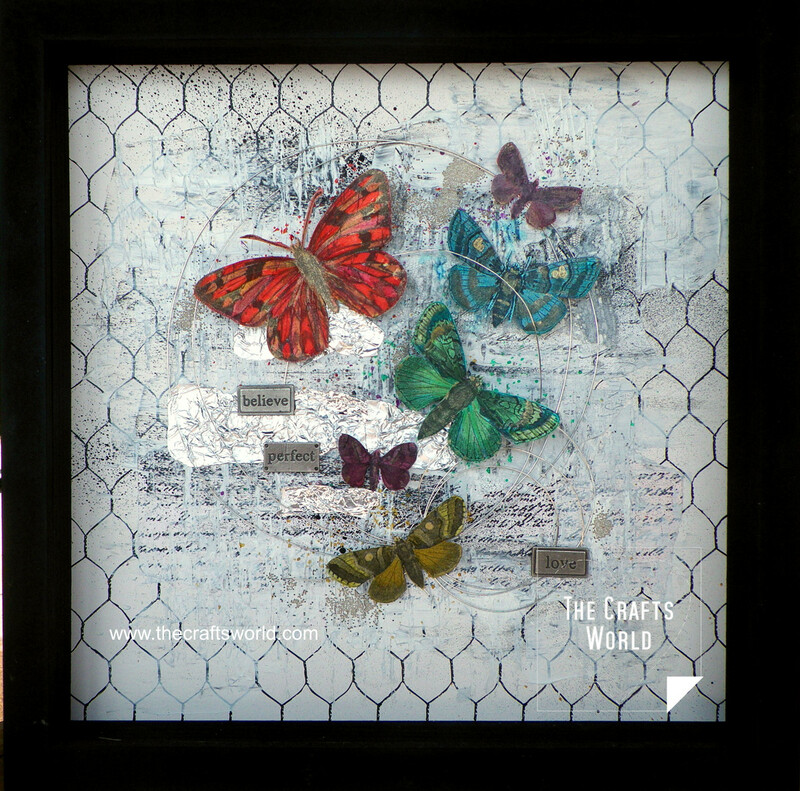 Using the butterflies from the Tattered Angels Mixed Media Origins papers, I based this layout on the contrast of the colorful butterflies and the white background. 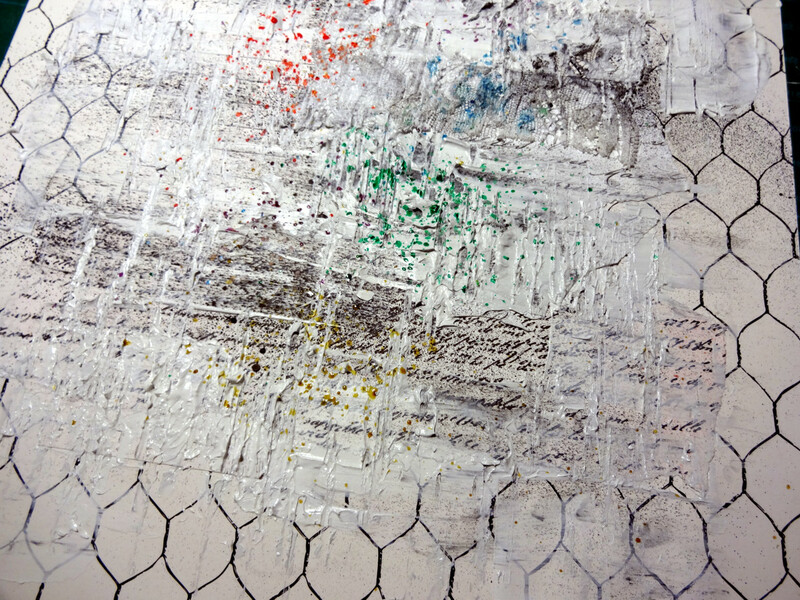 Scrap paper cuttings and heavy texture paste are mixed with black mist to give texure on the background and cover the wire themed paper. 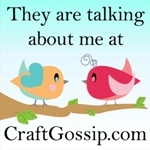 Craft wire in large circles and words on metallic plates include words of the theme. 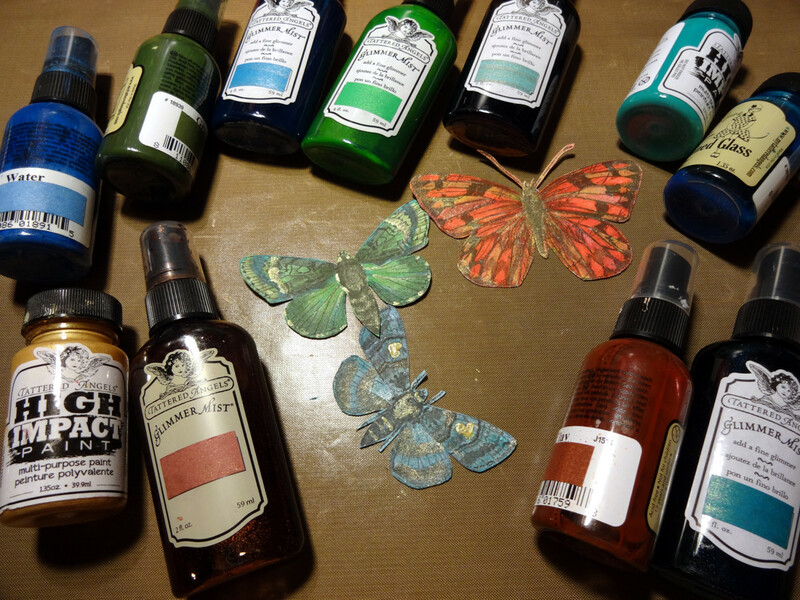 Cut the butterflies from the Tattered angels Mixed Media Origins paper and color them with TA paints. Using a sharp craft knife will give a clear cutting. 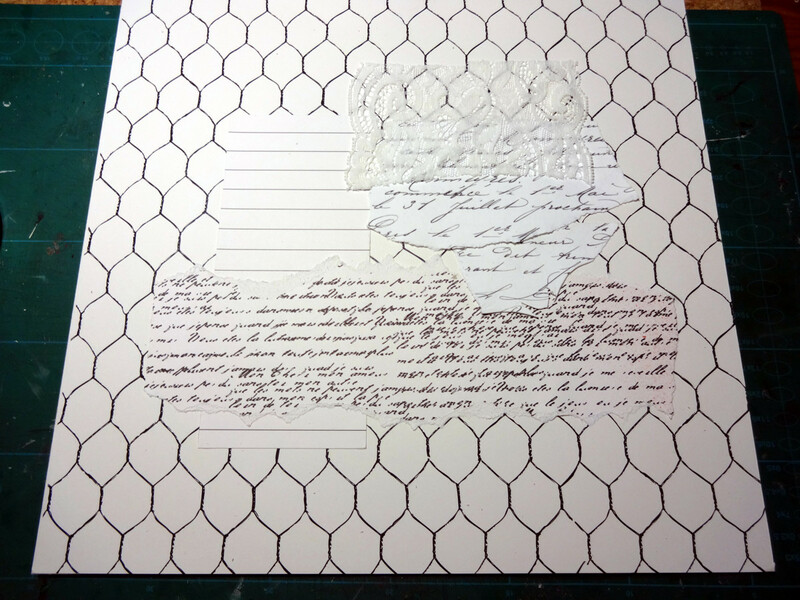 Position the paper cuttings and glue them on the 12×12 paper. Using the texture paste, just mess the background a bit with large strokes and sprinkle some paint matching the butterflies to be placed. 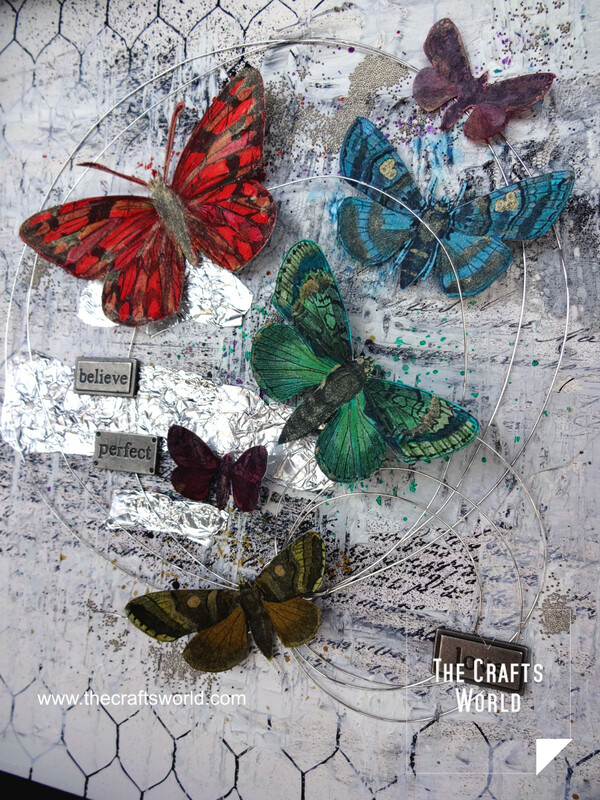 Add the wire, the butteflies and the metallic plates.